On October 27, 2010, Washington, D.C. Attorney General Peter Nickles issued a Statement of Enforcement. On November 17, 2010, the Mayor of the District of Columbia signed the Saving DC Homes from Foreclosure Emergency Act of 2010. The Act states that a foreclosure sale under a power of sale provision contained in any deed of trust, mortgage or other security instrument, can not take place unless the holder of the note secured by the deed of trust, mortgage, or security instrument, or its agent, gives written notice of the intention to foreclose, by certified mail, postage prepaid, return receipt requested, and by first‐class mail, of the sale to the borrower and, if different from the borrower, to the person who holds the title of record, of the real property encumbered by the deed of trust, mortgage, or security instrument at his last known address. A copy of the notice must also be sent to the Mayor, at least 30 days in advance of the date of the sale. All foreclosure sales occurring November 17, 2010 or after, a Mediation Certificate must be recorded among the DC Land Records PRIOR to the issuance and recordation of the Notice of Foreclosure. Foreclosure sales which are completed PRIOR to the effective date of the Act should not be subject to the provisions of the Act. On April 8, 2010, Bank of America (BOA) executives held a webinar presentation for over 10,000 Realtors to discuss BOA’s short sale process. Extended Saturday hours – Coming Soon! Throughout the process you will receive notifications of the status of the short sale. The system automatically tracks the agent, customer, and bank tasks and will alert you after key milestones have been achieved and to let you know the next steps. 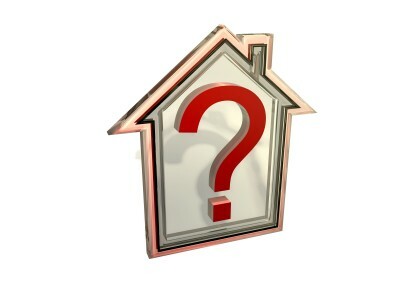 For specific questions/concerns you have, the negotiator assigned to the short sale is your primary contact. Please ensure when sending a message in Equator you only select “Negotiator”. We request that you only send messages via Equator and not directly through email. This enables our associates to effectively manage the case load and respond to agent inquires in a timely manner. If you have submitted a request to the Negotiator via Equator AND there has been no response after 2 business days: You should escalate to a “Team Lead” by selecting this role in your message drop down menu. In the event of an urgent issue, such as, a foreclosure sale date within 48 hours: You should immediately escalate to the “Team Lead” and “Manager”; and also call the Short Sale support team at 1-866-880-1232. What is Fannie Mae’s Alternative Modification™ (Alt Mod™)? The Alt Mod is an alternative to the Home Affordable Modification Program (HAMP) modification for those borrowers who were eligible for and accepted into a HAMP trial period plan but were subsequently not offered a HAMP permanent modification because of eligibility restrictions. Are servicers required to offer the Alt Mod? Yes, for mortgage loans in active HAMP trials initiated prior to March 1, 2010, all Fannie Mae-approved servicers must consider the Alt Mod prior to the initiation of foreclosure for all eligible borrowers who were not offered a permanent HAMP modification after making all required payments under a HAMP trial period plan. All borrowers must meet the eligibility criteria outlined below. What are the benefits of an Alt Mod? An Alt Mod offers you a permanent long-term solution to make your mortgage more affordable. If I didn’t qualify for a permanent modification under HAMP, will I qualify for an Alt Mod? The requirements for an Alt Mod have been designed specifically to assist borrowers, who were unable to qualify for a permanent modification through HAMP. If borrowers made their HAMP Trial Period Plan payments and have completed the HAMP Trial Period Plan, borrowers are likely a candidate for an Alt Mod. Once the servicer has the borrower’s required information, the servicer will review to see if the borrowers are eligible. How do I qualify for Alt Mod/What do I need to do to get approved? To begin the qualification process, review the Alt Mod Loan Modification Agreement and the Hardship Affidavit and return back to the servicer by the specified date. Why do I need to sign another Loan Modification Agreement…I already did this for HAMP? Alt Mod is a new loan modification option offered by Fannie Mae (the owner of your loan). It is not a part of the government’s loan modification program, HAMP. The Alt Mod was created for borrowers who were not approved for HAMP. The borrowers’ terms and payment amount should be the same as that of HAMP. All eligible borrowers who want to accept the terms of an Alt Mod, must read, agree, and sign a new Loan Modification Agreement. I am currently paying the trial period payment that was specified under HAMP. Do I keep paying this same amount? Will my payment change if I get an Alternative Modification? Yes, keep paying the same payment amount you were paying during the HAMP Trial Period. If you are eligible for an Alternative Modification, your payment should stay the same. The Alt Mod Loan Modification Agreement will specify your payment amount and when your payments are due. When are my payments due? If you are eligible for an Alternative Modification, you will sign an Alt Mod Loan Modification Agreement which specifies your payment amount and the day each month that your payment is due. Is there a trial period I have to complete? No. There is no trial period for Alt Mod. If you are eligible for an Alt Mod, once approved and the Loan Modification Agreement completed, your loan will be permanently modified. 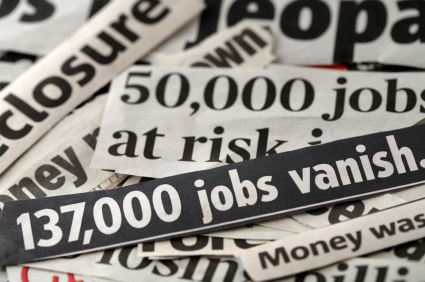 Will I still receive the incentive compensation offered through the HAMP program? No. An Alt Mod does not offer an incentive compensation for borrowers. The borrower incentive compensation is only available to borrowers who were eligible/qualified for a permanent modification under HAMP. Is the Alt Mod a temporary servicing policy change? Yes, Alt Mod cases must be submitted through the HomeSaver Solutions® Network (HSSN) prior to the final date of the program offering, August 31, 2010. Which Fannie Mae loans are eligible for an Alt Mod? All conventional mortgage loans held in Fannie Mae’s portfolio and mortgage loans that are part of an MBS pool that has the special servicing option or a shared-risk MBS pool for which Fannie Mae markets the acquired property. Who qualifies are an Alt Mod? What are the underwriting guidelines for an Alt Mod? 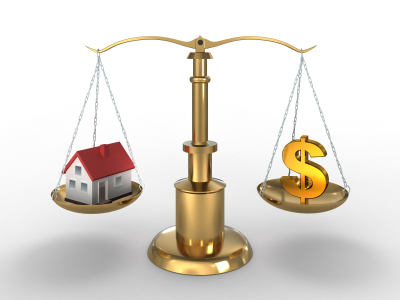 A servicer must have a property valuation as required for HAMP in Announcement 09-05R. The servicer must use that valuation to underwrite the Alt Mod. For loans with a current mark-to-market loan-to-value (LTV) of 80% or greater (LTV ratio based upon the HAMP valuation), the payment calculated for HAMP using the standard modification waterfall should be used for the Alt Mod, and verification of income documentation (as described below) is not necessary. For loans with a current mark-to-market LTV ratio of less than 80%, the payment calculated for HAMP using the standard modification waterfall should be used for the Alt Mod and income verification is required (as described below). However, the Alt Mod mortgage payment may not be reduced below 20% of the borrower’s verified monthly gross income. What are the Alt Mod income verification requirements for loans with current mark-to-market LTV ratios less than 80%? If the borrower is employed: A copy of the most recent paystub indicating year-to-date earnings or if year-to-date earnings are not available, copies of paystubs for the last two months. If the borrower elects to use other earned income such as bonus, commission, fee, housing allowance, tips, overtime: Reliable third party documentation describing the nature of the income (for example, an employment contract or printouts documenting tip income). If the borrower is self-employed: A signed copy of the most recent federal income tax return, including all schedules and forms, if available, or signed Internal Revenue Service (IRS) Request for Transcript of Tax Return (Form 4506-T); and copies of bank statements for the business account for the last two months to document continuation of business activity. If the borrower elects to use alimony or child support income to qualify, acceptable documentation includes: Photocopies of the divorce decree, separation agreement or other type of legal written agreement or court decree that provides for the payment of alimony or child support and states the amount of the award and the period of time over which it will be received; and documents supplying reasonably reliable evidence of full, regular, and timely payments, such as bank deposit slips or bank statements for the last two months. If the borrower has other income such as Social Security, disability or death benefits, a pension, public assistance or adoption assistance: Acceptable documentation includes letters, exhibits, a disability policy or benefits statement from the provider that states the amount, frequency and duration of the benefit; and the servicer must obtain copies of the most recent bank statement showing these deposits. If the borrower receives unemployment: Acceptable documentation includes letters, exhibits or a benefits statement from the provider that states the amount, frequency, and duration of the benefit. The servicer must have determined that the income will continue for at least 9 months from the date of the HAMP eligibility determination. If the borrower has rental income, acceptable documentation includes: Copies of all pages from the borrower’s signed federal income tax return and Schedule E – Supplemental Income and Loss, for the most recent tax year. When Schedule E is not available because the property was not previously rented, servicers may accept a current lease agreement and bank statements or cancelled rent checks. If the borrower has rental income from a 1 – 4 unit property that is also the borrower’s principal residence, the monthly net rental income to be calculated for HAMP purposes must equal 75% of the gross rent, with the remaining 25% being considered vacancy loss and maintenance expense. Is a hardship affidavit required for Alt Mod? Yes, in all cases a signed hardship affidavit is required. For borrowers that did not provide one under HAMP, a hardship affidavit may be included in the Alt Mod offer package for signature along with the Loan Modification Agreement (Form 3179). How should servicers treat loans with mortgage insurance? 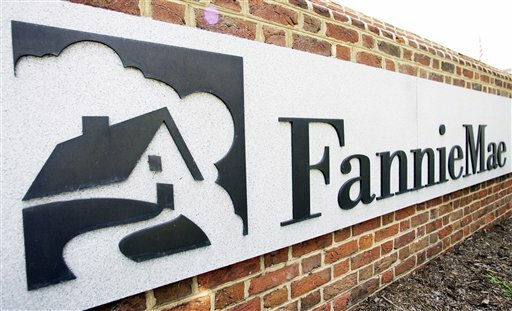 Fannie Mae is seeking blanket delegations of authority from mortgage insurers so that servicers can more efficiently process Alt Mods without having to obtain mortgage insurer approval on individual loans. Servicers must obtain approval on a case-by-case basis from mortgage insurers that have not provided delegated authority agreements. Servicers must include the mortgage insurance premium in the borrower’s modified payment and must ensure that any existing mortgage insurance is maintained. Servicers must maintain their mortgage insurance processes and comply with all reporting required by the mortgage insurer for Alt Mod loans. What are the escrow requirements for Alt Mod? All of the borrower’s trial period payments under HAMP as well as the payments due under the Alt Mod must include a monthly escrow amount unless prohibited by applicable law. What are the messaging requirements for the Alt Mod offer from servicers to borrowers? What are the timing expectations for Alt Mod offers? Between the fifth and the 15th days after the offer is mailed, servicers must attempt at least 3 phone calls. On the 15th day after the offer is mailed, servicers must mail a follow-up letter by either mail or a direct contact, door-knocking campaign. Between the 15th and 30th day, after the offer is mailed, servicers must attempt to contact the borrower a minimum of 3 additional times regarding the offer by either phone calls and/or use of field servicers (door knockers). What are the incentive fees for Alt Mod? A servicer will receive compensation of $800 for each completed modification. Incentive fee payments on eligible mortgage loans will be sent to servicers upon receipt of a closed case entered into HSSN. Servicers need not submit requests for payment of modification incentive fees. Modification incentive fees on eligible mortgages will be sent to servicers on a monthly basis. Unlike HAMP, there are no borrower incentive payments available with Alt Mod. How should servicers handle a borrower who re-defaults after receiving an Alt Mod? If a borrower becomes 60 days delinquent on the Alt Mod within the first 12 months after the effective date of the modification, then the servicer must immediately pursue either a pre-foreclosure sale (short sale), deed-in-lieu (DIL) of foreclosure or commence foreclosure proceedings in accordance with applicable state law. Should a servicer determine that another modification is appropriate for the borrower; the servicer must submit the loan information as a non-delegated case into HSSN for Fannie Mae’s prior approval. On February 11, 2010, Citigroup announced plans to introduce a pilot program that would let homeowners on the verge of foreclosure stay in their homes for six months, provided that they turn over the deed to the property; otherwise, known as a deed-in-lieu (DIL) of foreclosure. Citi will begin the program, called Foreclosure Alternatives, this week in some states that have been particularly hard-hit by foreclosures: Florida, Illinois, Michigan, New Jersey, Ohio and Texas. About 1,000 homeowners are expected to participate. You get to stay in your home for an extra six months. While you still have to leave, getting the extra six months can help your kids finish their school year and give you time to pack and plan for your next move. Mortgage payment not required. Citigroup won’t require you to make a mortgage payment while you live in the home. That should give you six months to sock away savings – cash you’ll need to pay moving expenses and perhaps to put down a security deposit on a new place to live. A deed-in-lieu of foreclosure will hurt your credit history and credit score less than a straight out foreclosure. While your credit score will drop, it might not drop as much. Citi will pay at least $1,000 in relocation costs and will consider helping with other expenses. It also will offer relocation counseling. Borrowers in Citi’s program must still pay utility bills. Borrowers will be required to “maintain the property in its current condition,” the bank said. In December 2009, the Treasury implemented a review period through January 31, 2010 to provide servicers additional time to collect and submit missing documentation for borrowers in trial modifications, to require that borrowers be notified of any missing documents, and to give borrowers an opportunity to dispute and correct any erroneous information in their applications. Today’s guidance clarifies for servicers the proper procedures for conversion of those borrowers who are current on their monthly payments to permanent modifications. Within 10 business days following receipt of an Initial Package, the mortgage servicer must acknowledge in writing the borrower’s request for HAMP participation by sending the borrower confirmation that the Initial Package was received, and a description of the mortgage servicer’s evaluation process and timeline. If the Initial Package is received from the borrower via e-mail, the servicer may e-mail the acknowledgment. Servicers must maintain evidence of the date of receipt of the borrower’s Initial Package in its records. Make a determination that the borrower is not eligible for HAMP and communicate this determination to the borrower in accordance with the Borrower Notice guidance provided in Supplemental Directive 09-08. A single written communication sent within 10 days of receipt of a borrower’s request for HAMP participation may also include, at the mortgage servicer’s discretion, the results of its review of the Initial Package. Mortgage servicers are reminded that Supplemental Directive 09-01 generally prohibits servicers from proceeding with a foreclosure sale for any potentially eligible mortgage loan until the borrower has been evaluated for eligibility under HAMP and has been determined to be ineligible or has declined a trial period plan offer. If the mortgage servicer receives an incomplete Initial Package or needs additional documentation to verify the borrower’s eligibility and income, the servicer must send the borrower an Incomplete Information Notice that lists the additional required verification documentation. The Incomplete Information Notice must include a specific date by which the documentation must be received, which must be no less than 30 calendar days from the date of the notice. If the documents are not received by the date specified in the notice, the servicer must make one additional attempt to contact the borrower in writing regarding the incomplete documents. This additional notice must include the specific date by which the documentation must be received, which must be no less than 15 calendar days from the date of the second notice. If a borrower is unresponsive to these requests for documentation the servicer may discontinue document collection efforts and determine the borrower to be ineligible for HAMP. If the borrower is determined to be ineligible for HAMP, the servicer must communicate this determination to the borrower in accordance with the Borrower Notice guidance provided in Supplemental Directive 09-08. Within 30 calendar days following receipt of an Initial Package or complete verification documents, the mortgage servicer must complete its verification and evaluate the borrower’s eligibility for HAMP and, if the borrower is qualified, send the borrower a Trial Period Plan Notice. If the borrower is determined to be ineligible for HAMP, the servicer must communicate this determination to the borrower in accordance with the Borrower Notice guidance provided in Supplemental Directive 09-08. Servicers are reminded that Supplemental Directive 09-01 prohibits servicers from initiating a new foreclosure action while a borrower is in a trial period plan. When a borrower is determined to be ineligible for a HAMP modification, the servicer is required to consider that borrower for all other available loss mitigation options, including but not limited to refinance, forbearance, non-HAMP modifications and, to the extent a borrower does not qualify for a home retention alternative, Home Affordable Foreclosure Alternatives (short sales or deeds in lieu of foreclosure) under Supplemental Directive 09-09. As required in Supplemental Directive 09-08, available loss mitigation options should be described in the Non-Approval Notice. Servicers must use a two-step process for HAMP modifications. Following underwriting and a determination that the borrower qualifies for a HAMP trial modification, servicers will place qualified borrowers in a trial period plan by preparing and sending a Trial Period Plan Notice to the borrower describing the terms of the trial modification and the payment due dates. Borrowers who make all trial period payments timely and who satisfy all other trial period requirements will be offered a permanent HAMP modification. The trial period is 3 months in duration (or longer if necessary to comply with applicable contractual obligations). Borrowers are not required to sign or return the Trial Period Plan Notice. Servicers should retain a copy of the Trial Period Plan Notice in the borrower file and note the date that it was sent to the borrower. Receipt of the first payment due under the trial period plan on or before the last day of the month in which the first payment is due is evidence of the borrower’s acceptance of the trial period plan and its terms and conditions. The effective date of the trial period will be set forth in the trial period plan and is the 1st day of the month in which the first trial period plan payment is due. The borrower must be current under the terms of the trial period plan at the end of the trial period to receive a permanent loan modification. “Current” in this context is defined as the borrower having made each required trial period payment by the last day of the month in which it is due. Borrowers who fail to make current trial period payments are considered to have failed the trial period and are not eligible for a HAMP modification. Servicers are instructed to use good business judgment in determining whether trial period payments were received timely or if mitigating circumstances caused the payment to be late. Exceptions should be documented in the servicing record.